If you haven’t already heard it, you will – over and over again. It’s what Ken Jennings wrote below his Final Jeopardy! wager knowing full well he and his other humanoid competitor were going to lose to a computer. 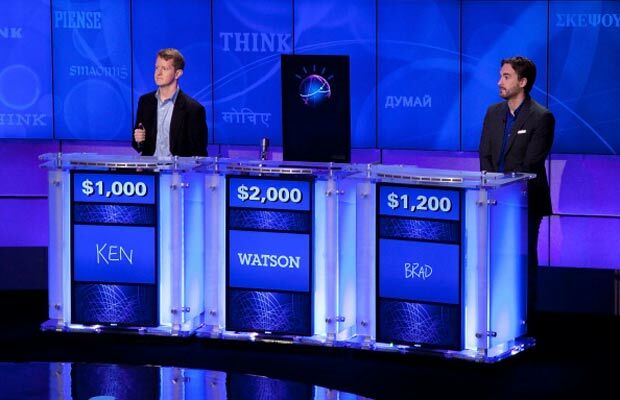 For all you “Singulartarians” out there – IBM’s super computer Watson, which beat two of the best Jeopardy! players ever tonight, could very well be one of the milestones that Mr. Ray Kurzweil will point to that validates his theory that within 35 years, human existence will be completely transformed by the overwhelming processing power of computers when we physically merge with hyper-intelligent technology. Want to be totally freaked? – read his book, The Singularity Is Near: When Humans Transcend Biology . If you want to read some color commentary on the actual performance of Watson – Forbes.com’s account is pretty good.